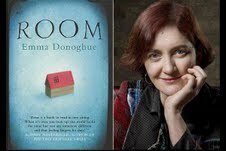 I don't understand the big fuss about Emma Donogue's novel "Room" just because it was written from the "perspective" of a 4 year old. I received this book as a prize for winning the book-of-the week on FM 92 a few months ago by simply smsing "I love reading" to DJ Nathalie. I'm glad my avid listening gets me books and vouchers so easily! Thank you Nathalie! I found Donogue's style to be too superficial, and I had trouble tuning int to the lingo of a child for so many pages. A mother instinctively understands her own children. But it takes time to get used to another child's idioms. Perhaps nursery school teachers have a special skill so that they can understand each of their students. But it was hard for me to focus on language transcribed by an adult author who pretended to be a child. I contrast "Room" to Marcel Pagnol's style. In "La Gloire de Mon Pere", he is the narrator, spanning ages 4 to 10. He writes about his memories, and those coming from the perspective of a child. But the beautiful prose is that of a gifted adult. 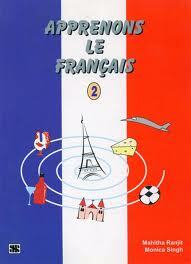 Today while I was prepping my older son for his French Grammar test, I was reminded of Pagnol's lovely book . My youngest son, who is four, walked past us studying and calmly read "Francais". Yes, He READ the word on the cover of the book. Neither I, nor his school teacher, have ever introduced him formally or even informally to reading. I always wait for second grade to introduce reading concepts, and he is only in pre-K! My husband couldn't believe his eyes. He took another book and asked our son to read it. 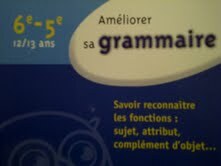 The title was more difficult "Grammaire". This time, my son didn't enunciate it in one go like he had said "Francais". 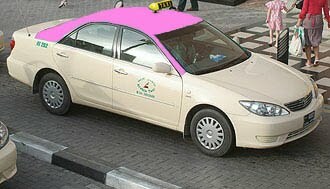 What he read sounded like "jamayre". But again he read it! His older brother and I laughed and cried out in unison: "Its like Marcel in La Gloire de Mon Pere!" My non french educated father/husband listened on, as we shared the narrative, my son beginning the episode and I interjecting with a detail or two. Marcel Pagnol's father was a school teacher and his mom dropped their four year old son in the back of the class when she ran errands. During a class, the teacher wrote on the blackboard: "Mother punished her son" for his students to read. From the back of the class, little Marcel screamed out: "it's not true! She didn't punish me!" My eldest took over this part of the narrative: "the father looked at his son in shock: "you can read?" And he wrote more on the board and the boy read on. That moment was a glorious moment for the author, to be admired by his learned father . Later in the novel, the father catches bounty on a hunting outing and this time his son was so proud that he eventually called the novel "La Gloire de Mon Pere". I urge you all to read this lovely coming of age story, which can also be viewed as a movie. The narrative is magical. What a lovely read it is ,alas my French is not that good for it. Nevertheless,both books of Pagnol are made into classic movies that my grandchildren love to watch on a big screen,giggling and sighing while the little French boys act so naturally.